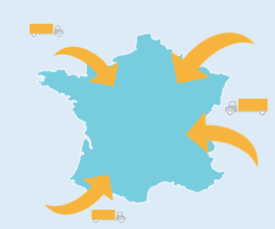 As of the 1st july 2016, a new mesure of the “Loi Macron” will be applied to cabotage and international road transport operations to and from France. The drivers of foreign transport companies must from that date receive the French minimum wage during their journey on French territory. EuroVAT is doing everything in its power to help you to comply with this regulation. Please don’t hesitate in contacting us for any further questions.